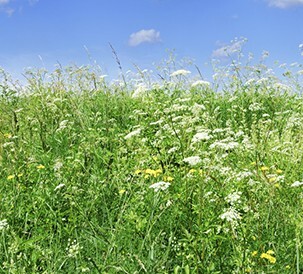 Sustainability, Environment, Sustainable Practices Diversified Plastics, Inc.
Diversified Plastics is committed to continuous improvement through our sustainability initiative. We strive to reduce the impact our manufacturing operations have on the environment through sustainable practices and source reduction initiatives. Diversified Plastics provides our customers with custom solutions designed be inherently more sustainable. In addition, we have received the Green Star Facility Award from the Minnesota Pollution Control Agency in acknowledgement of compliance with applicable environmental requirements. 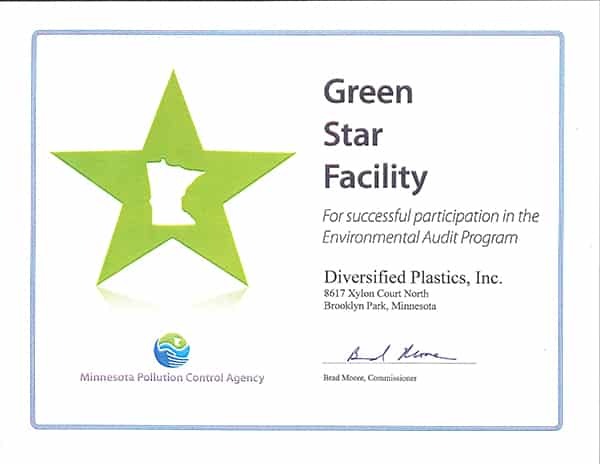 Diversified Plastics receives Green Star Facility Award from the Minnesota Pollution Control Agency.